Tell us about your journey into sales. What attracted you to join Evolv? My sales career started in the IT space with Okta as they were scaling from 30M to 100M in ARR. Okta has since gone public and continues to dominate the IDaaS market. I was attracted to Sentient Technologies because they had spent years building a core set of AI algorithms and were at the beginning of productizing and taking a SaaS business to market. I saw the opportunity to get in on the ground floor of a product launch and broaden my experience across different stages of the product and lifecycle and sales strategy. Evolv Technologies recently acquired Ascend from Sentient to build on the success and momentum. We’re now investing heavily in enterprise sales and customer success to scale the business. How different is selling marketing technology products compared to other technologies, for instance, IT and Cloud? Marketing products, especially those that are focused on increasing revenues, such as our Ascend product is, frequently lack an obvious compelling event to organize a sale around. In IT, most of the buying is problem-solution oriented. The selling is highly competitive and losses are typical to a competitor or internal team looking to build a custom solution. A key to predictably selling marketing solutions is to identify the economic buyer early on and determine there is a fit for your solution in the organization to make defensible business improvements. If not Sales, which other roles do you think would have suited your skills? Product marketing would be my next choice. One of the reasons I enjoy startup sales is that you get to be at the front of the search for maximum customer value and product/market fit. I also find the world of customer success fascinating as it has grown into the cornerstone of the subscription economy and continues to expand its importance in the SaaS sales process. Tell us how you achieve Marketing-Sales alignment for Customer Success at Evolv? The simplest way to start is to make sure the goals and incentives of your demand generation, sales development, and sales teams are aligned. We build our goals around pipeline contribution and revenue instead of MQLs and SQLs. It’s also important to define target account attributes and rules of engagement to ensure your teams are bringing in prospects and customers with the highest probability of successful product adoption. No one wins when your demand generation strategy ends up delivering a high quantity of leads and customers that struggle to succeed with your product or service. How did your previous roles prepare you better for the current role at Evolv? Okta was already operating at a high growth rate with obvious product/market fit by the time I arrived. I was able to learn a lot about how a well-functioning SaaS growth organization consistently builds a pipeline and hits revenue targets, and was able to adapt these skills to the benefit of our efforts at Sentient and now Evolv. On a scale of 1-5, how would you rate your understanding of the current SalesTech landscape? How does Evolv’s platform contribute to the salestech ecosystem? Consumers expect digital user experiences today to be on par with Netflix regardless of the product or industry they’re interfacing with. That means leadership in every vertical, whether SaaS or eCommerce or Retail Finance, need to build products and experiences that compete with the best UX in the business. Evolv helps companies deliver growth by continuously designing higher performing website experiences. What has been the most challenging experience in your career as a Sales leader? How did you deal with them and what lessons did you learn from them? Early-stage product companies make lots of small pivots and the occasional major pivot based on feedback from the customers you bring in. As a Sales leader, you need to frequently update your strategy and help your team understand why changes are important even if they impact current pipeline and tactics. The best way to get ahead of issues is to hire teammates who are focused on the success of their customers and the growth of the company. Is there a “Customer Success culture” that you represent or follow? Why is it important to build a sales-focused culture for any business? Customer success drives revenue in a subscription business like ours. Sales, Marketing and Customer Success should all be aligned in a SaaS organization to ensure the service you deliver to your customers has a consistent and valuable experience. The only SaaS companies that are scaling are those that put the customer first. Focusing on Sales is the same idea as focusing on the customer (both new and existing). Businesses today have to proactively deliver value throughout the entirety of the customer lifetime. LTV is partially a function of the market you sell into, but also very related to your company’s success and service delivery model. How do you achieve this culture-balance at Evolv or elsewhere? What percentage of this is driven by the application of technology, reporting tools, and coaching? People, not tech, build your culture and CX in the early stage. Leadership sets the tone and your organization’s structure certainly impacts your customer experience, but the people you bring on board ultimately determine your culture – both internally and to your customers. How do you leverage AI and automation at Evolv? We pitch the value of AI and automation in customer experience optimization every day, so we dogfood the process ourselves. We use AI to help identify target accounts based on parameters we’ve seen to be successful in the acquisition and product usage. Automation helps us to scale personalization efforts in sales and marketing. 1-1 personalization won’t add real value to our customers until AI and automation allow us to focus our efforts on strategy and creative instead of marketing operations like building rules engines. Which Sales tech Automation platforms and tools do you use? How do they make your work easier? Apollo.io is a great platform for driving engagement and revenue. We use Apollo to identify target accounts and contacts based on technology, firm level, and behavioral data and then automate engagement at scale. This allows our reps to focus on contacts with a certain level of engagement and increases conversion rates over cold, non-targeted accounts. Do you promote Sales Coaching to empower your sales teams to deliver on the performance targets? We value continuous learning within our organization. Fortunately, with a small team of reps (not for long, we’re hiring across all of Sales!) located in a central office, we keep an open dialogue and have regular training. Our reps sell a high-value product that optimizes a complex business process, so it’s important that we stay up to date on product knowledge, our customer’s optimization approaches and internal sales strategy. What are your observations and predictions on the “Role of Chatbots and AI Conversations” influencing sales journeys now and in the future? Context matters a lot when considering Chatbots and AI in a sales or marketing journey. Put yourself in the shoes of your customer or prospective buyer and ask if the experience is going to suffer or be improved. AI should help you surface the conversations and prospects that matter most and guide the focus of your reps and should never be obviously self-serving in its cost or corner cutting. Our work in developing server-side APIs for our optimization engine opens up the possibility for optimizing chatbot responses across your customer segments. How do you prepare for an AI-centric world as a sales leader? Start using AI, if you haven’t already! If used appropriately, AI should allow us to keep doing more with less by increasing the probability of targeting the right prospects with the right products. AI will also help with the sales recruiting process – people remain at the heart of successful sales efforts, at least for complex products, and being able to better select the talent that fits your culture, product and target markets will be of great assistance. And study up! There are many forms of AI, and different modalities solve different types of problems, so if you’re going to be effective in using AI, you need to understand more than just the acronym. Which events and webinars do you most commonly attend and why? InsightSquared webinars for sales management and operations, conversion optimization and digital analytics meetups in the Bay Area to network with end users of my product. Thank You, Drew, for answering all our questions. We hope to see you again, soon. 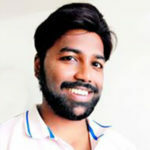 Evolv Technologies is defining autonomous optimization for the digital era. Using breakthrough Artificial Intelligence, developed over the course of ten years, Evolv helps enterprise customers continuously optimize their digital KPIs and meet their goals and objectives. The company’s flagship product, Ascend, is used today by recognized brands around the world to improve experiences across web and mobile. 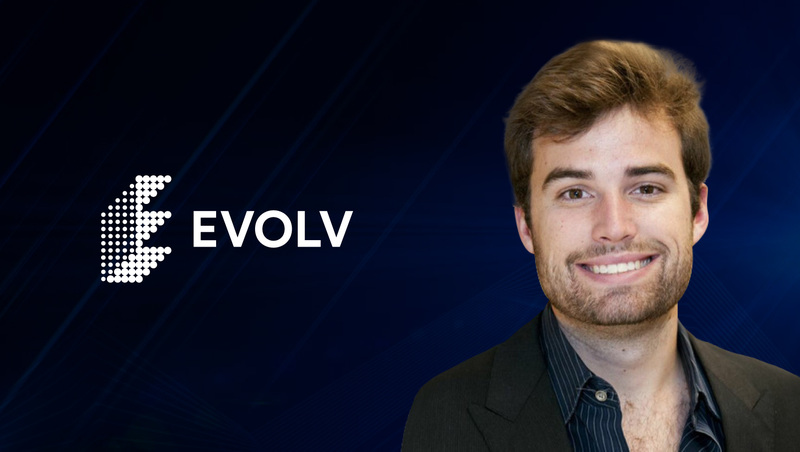 Drew McLaughlin is the Director of Growth at Evolv Technologies. Drew was earlier a Director of Global Business Development at Sentient Technologies. Sentient Ascend is the world’s first AI-powered website experimentation platform that optimizes rather than validates.